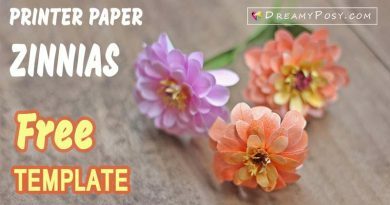 In this tutorial to make paper Dusty Miller, I will also walk you through DIY a bridal paper bouquet made from 100% paper. 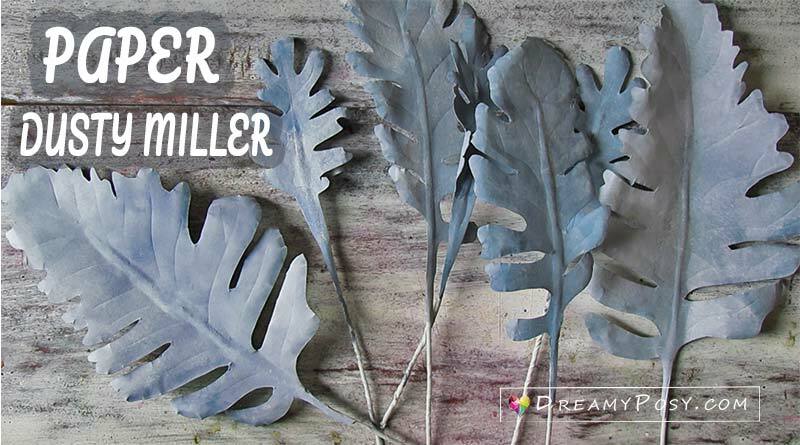 Actually, Dusty Miller leaves are great for almost all kind of bouquet color. But today I choose to arrange it with paper Carnation flower, paper Gerbera Daisy flower. 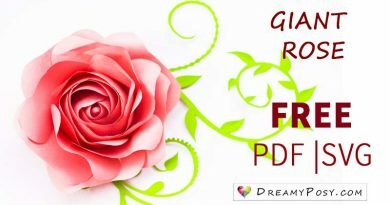 Check out these links to enjoy full tutorial and template to make easy paper Carnation and Gerbera flowers. 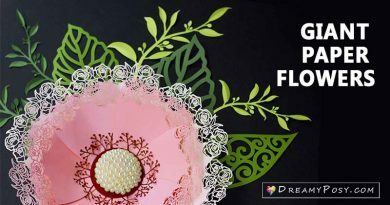 You could easily combine Dusty Miller with any other flowers, which you could find many other paper flowers free tutorial and template here. In the previous gerbera daisy tutorial, I have shared a little dusty miller leaves but I’m not happy with it yet, as it’s not realistic enough. 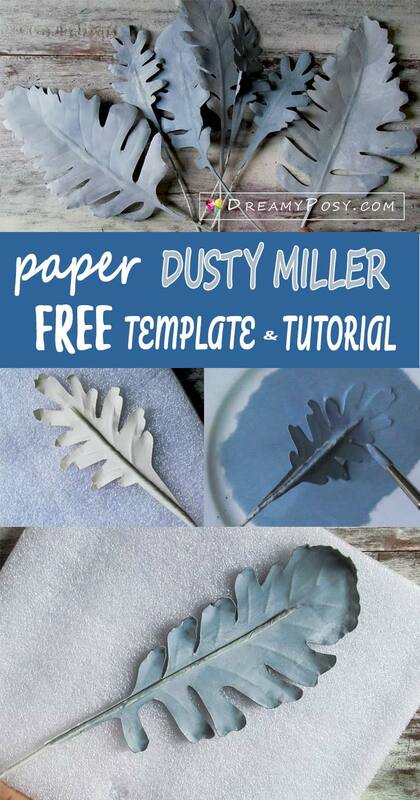 White dusty miller leaves are quite an important foliage in many other next tutorials, so I kept thinking to make it better, and I would like to share how I made paper dusty miller leaves here. Get the cotton cardstock (the one has a soft texture like watercolor paper). 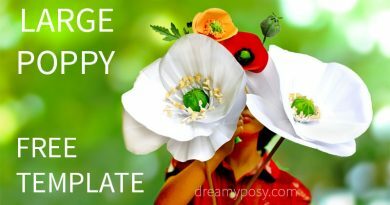 Download DreamyPosy.com template and cut the leaves. Wrap the wire gauge20 with white floral tape, the tape exceeds the top of the wire a little bit so that we will have a smaller tip top here. Glue the wire with the leaf. Deep color the paper leaf in watercolor and get it dried. Use the stylus to create the leaf’s vein and edge curves. Use the sandpaper to help the leaf get the soft texture.